Is it too soon to start packing for Hawaii? I know we're not going until next month but it's not like I'm going to be wearing any of my warm-weather clothes in Washington between now and then. Our objective for this grown up spring break/ honeymoon is to do nothing but relax. I want the biggest decisions we make each day to be beach or pool? Mai Tai or Pina Colada? The only other thing I really want to do while we're there is go snorkeling and find sea turtles but for the most part we're just going to take full advantage of our resort and so I plan to pack light! 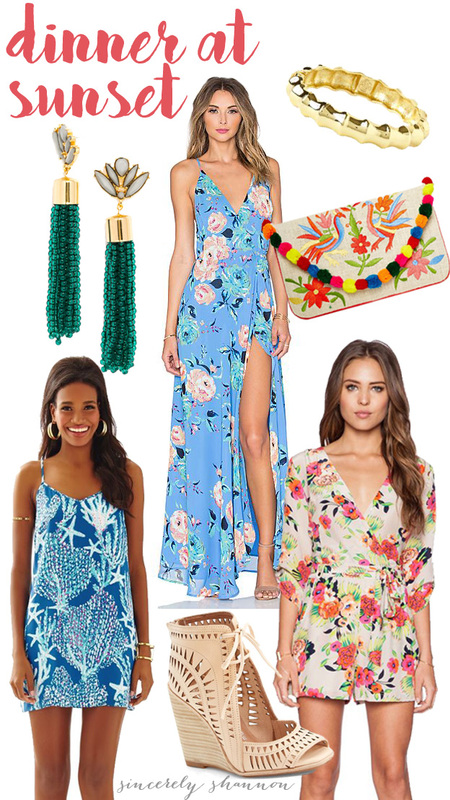 Lots of bikinis and a cute cover up for during the day, then fun dresses and rompers for dinner at sunset. 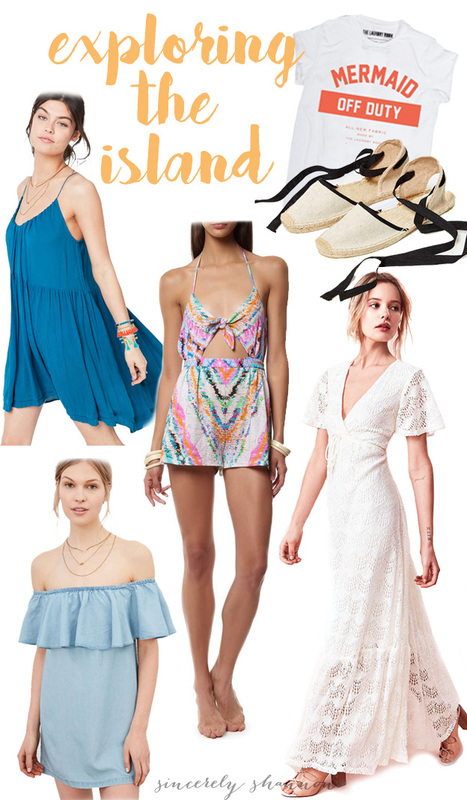 T.J. if you're reading this, don't worry, I'm not going to get a whole new Hawaii wardrobe, but these are a few pieces on my wish list that I'd love to frolic around the island in. So fun! I wish our trip was next week lol. It is now totally acceptable for you to start getting out your bathing suits. I usually lay everything out in our guest room so it's out of the way and so I can make sure not to forget anything.